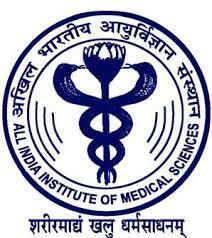 Stenographerrecruitment in All India Institute of Medical Sciences (AIIMS),New Delhi on regular basis. (1) A stenographic test (English / Hindi)) for 10 mts @ 80 w.p.m will be conducted by an expert agency such as I.S.T.M. A transcription time of 50 mts (English) and 65 mts (Hindi) on computer will be given. (2) The name (s) of candidate placed in the merit list will be considered by the DPC for assessing his/her suitability to the post. The candidates, who are desirous to apply for the said post, may submit their application through proper channel in the enclosed format along with the attested copies of certificates of educational qualification, experience and testimonials after getting their particulars verified from the concerned Establishment Section latest by 06.04.2018. The applications received after the stipulated date and application not received through proper channel, will not be entertained. Applicants who have already applied earlier need not apply again .